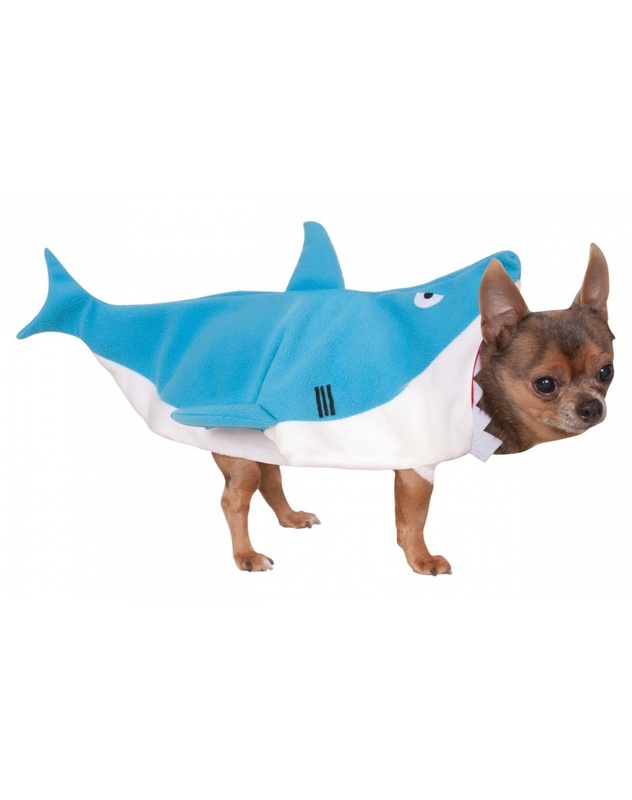 Our ferocious shark dog costume includes an easy-on blue shark bodysuit. This Shark comes in pet sizes X-Large, Small, Medium, Large. 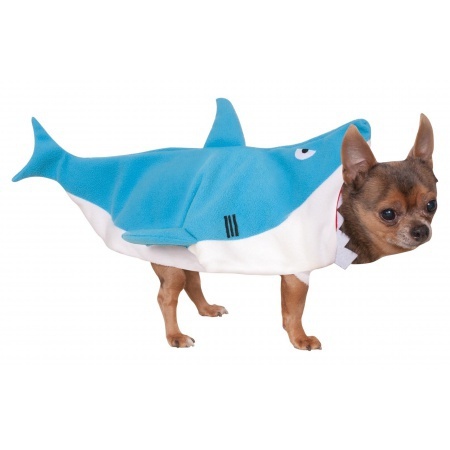 Dress your shark-proof pooch in this fun dog costume for Shark Week!